Pres. Robert R. Martin & other college presidents watch Gov. Breathitt Sign HB 238 granting university status to Kentucky colleges. 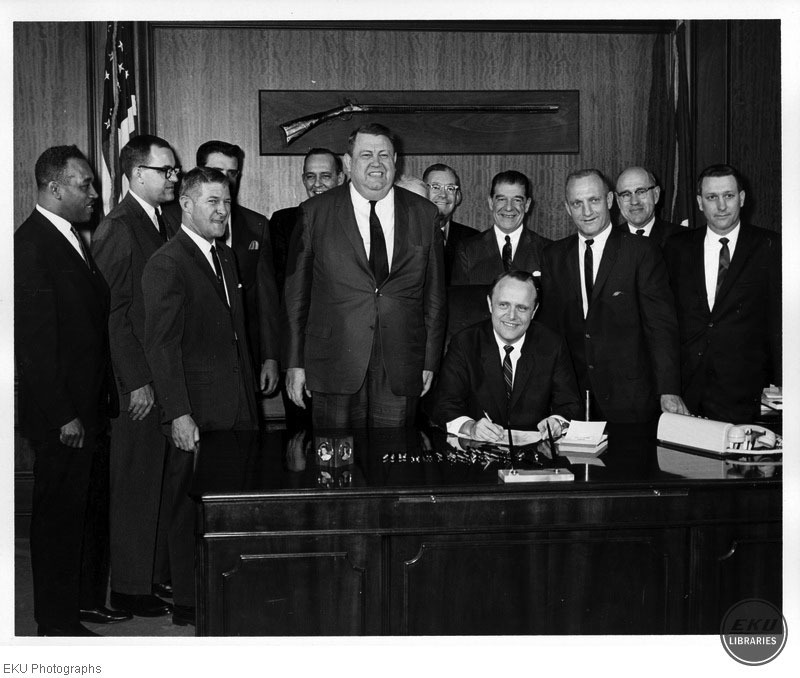 “Signing the University Status Bill,” Digital Collections, accessed April 25, 2019, https://digitalcollections.eku.edu/items/show/30115.